As we approach Earth Day, I’ve had some interesting thoughts about the science vs. religion, materialism vs. spirituality debate. Being a spiritual teacher myself, I generally tend to feel more aligned with mystical and religious sensibilities, because they assert that the spiritual dimension of life is the highest and most profound experience a human being can have. I share that conviction, and feel that it is the essential foundation for a life of meaning and purpose. That being said, when it comes to telling us how to relate to some of our biggest global challenges, I wonder if the most spiritually enlightened among us might be missing the boat right now. Men and women of great spiritual commitment, whether they are realized Himalayan yogis, high Buddhist Lamas, wise and revered Rabbis, beloved Christian Priests, or ecstatic Sufi mystics, tend to emanate both a powerful positivity and an uplifting compassion. And it is their spiritual conviction—based upon either strong faith or direct mystical experience—that has made them, throughout human history, such important pillars of both solace and inspiration. No matter what the tradition, their message to the multitudes tends to be that the world is mired in ignorance, whether that ignorance be called “lack of faith,” “materialism,” “delusion,” “egotism,” or just the absence of spiritual sensitivity. Mystics and yogis tell us that if we follow their prescription, sooner or later we will awaken from our ignorance to a higher, timeless dimension of consciousness in the here and now. Almost all of the traditional religions tell us that if we embrace their faith wholeheartedly, we will experience salvation and go to a better world when we die. But do we really need to transcend this world—through higher consciousness or life after death—to find a source of authentic faith and inspiration? Recently, I was told about three important new books that make very bold and provocative statements about the human experiment: they state unequivocally through extensive research that life conditions in our world are improving dramatically in just about every domain for more people than ever before in history. In fact, they tell us that our future looks brighter than we can imagine. Ironically, enlightened masters and religious faiths—those traditional sources of moral courage and spiritual inspiration—with rare exceptions, almost universally tell us the opposite story: things are going from bad to worse. And with climate change, continued environmental degradation, and the very real potential for war in the Middle East, to name just a few of our looming planetary crises, they would appear to have a strong case. The remedy to our personal and collective challenges, they tell us, are the mystical truths realized through their spiritual practices or the mythical truths realized through accepting their faith. In the best cases, they say these realizations can spiritually empower us to roll up our sleeves and fight the good fight to save ourselves and our planet. If the prophets of progress coming to us from fields as diverse as economics, psychology, and technological innovation are right, then we may have a non-metaphysical, non-faith-based source of hope and possibility for salvation in our midst. And this “good news” is based upon our own extraordinary achievements. This is not to deny (as all of the above authors have acknowledged in their work), that we have enormous problems to solve and unexpected disasters to face. It’s just that if they’re right, we have good reason to feel a lot better about ourselves and our collective future. What if our mystics, enlightened ones and great religious traditions incorporated the “good news” of progress into their perennial teachings of timeless wisdom? Maybe then they could inspire us not to fear the future, but to be even more deeply, spiritually motivated to create a better future—and in so doing, become unapologetically positive about our role as evolving human beings at this time in history. Download the first 38 pages of Andrew Cohen’s new book, Evolutionary Enlightenment: A New Path to Spiritual Awakening. 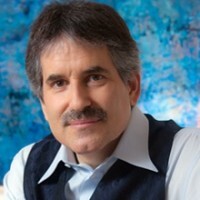 Andrew Cohen is an American spiritual teacher and visionary thinker widely recognized for his original contribution to the emerging field of evolutionary spirituality. Through his talks, retreats, publications, and ongoing dialogues with the leading philosophers, mystics, and activists of our time, he is becoming a defining voice in an international alliance of individuals and organizations that are committed to the transformation of human consciousness and culture. The founder and editor in chief of the international, award-winning EnlightenNext magazine, formerly What Is Enlightenment?, Cohen is dedicated to creating “nothing less than a revolution in consciousness and culture.” Since 1991, Cohen and his small team of editors have met with mystics and materialists, physicists and philosophers, activists and athletes in an effort to create a popular forum for dialogue and inquiry regarding the meaning of human life in the postmodern era. You can follow him on his Facebook page. Download a free chapter of Andrew’s book, Evolutionary Enlightenment, by clicking here. You can also join him for a series of free monthly broadcasts by registering here.